How do I proceed from here? I need only a one-way ticket. Usually there would be a purchase option in the column Preis für alle Reisenden, or a notification that this ticket cannot be booked. For the ICE, it's just blank. In the end, my employer's travel agent booked a seat at my request. I don't know if they did so through the website or by phone. The above method is correct and it seems to be working ok now. (Incidentally, there is also an English version of the site where you can book 'Seat Only' reservations if this is easier to follow). 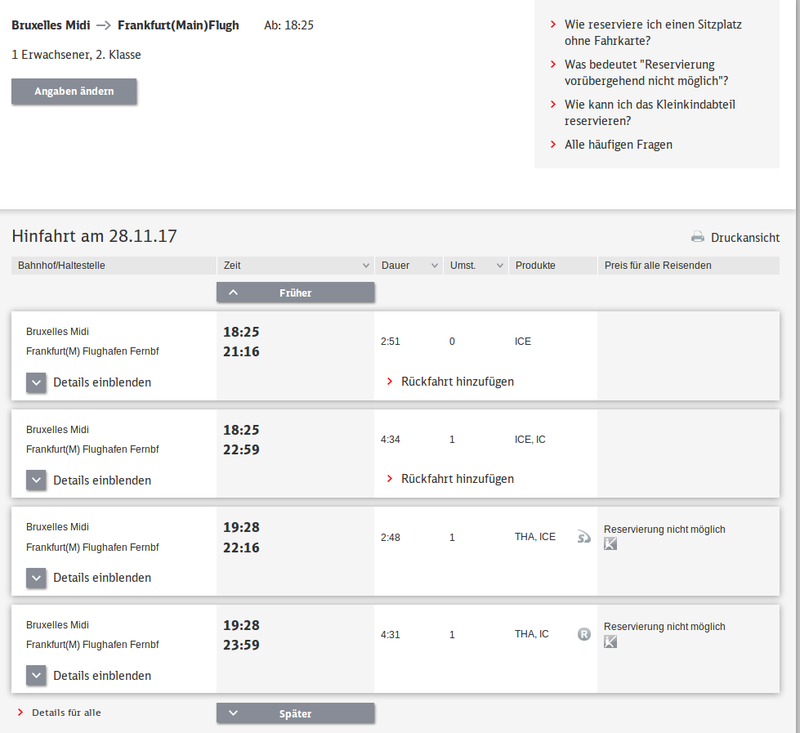 Normally the reservations are unavailable at short notice before departure, or for fully booked and sometimes multiple-operator routes where DB cannot access the seat reservation system.